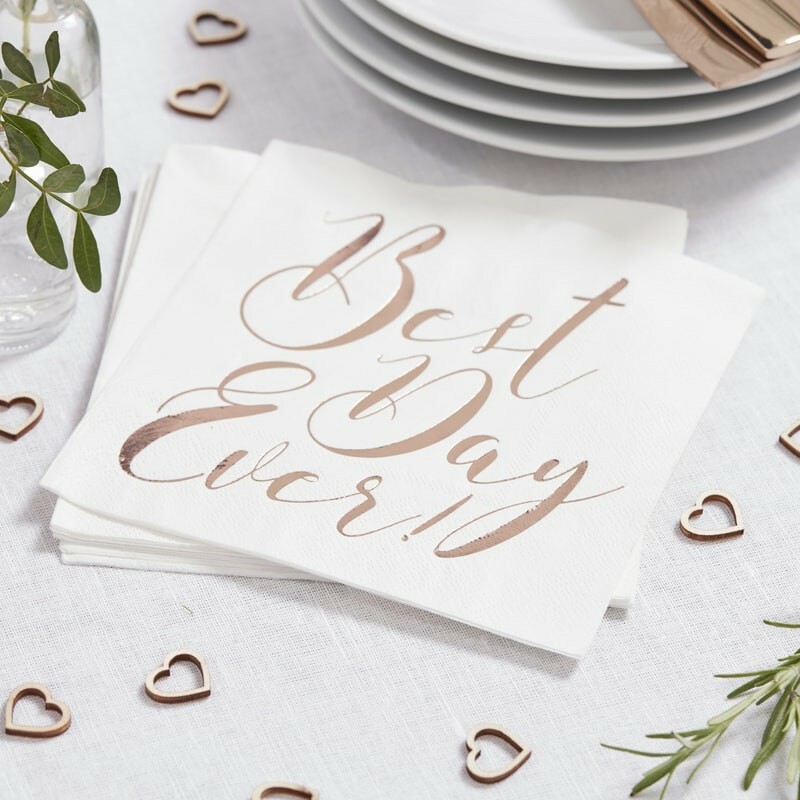 Stunning "Best Day Ever" napkins, these napkins feature a beautiful floral design and hand illustrated wording. They are perfect for weddings and hen parties, or any special celebration. Pack of 20 Napkins 33cm square when opened out.